What do you want to do when you grow up? Do you want to be an astronaut, a dancer, a lawyer, the President? When I was younger, I wanted to perform. I took ballet and jazz. I danced in dance school recitals. I participated in every high school musical and play production I could get my hands on. I went to college and majored in theatre, pursuing a Bachelor of Fine Arts with obsessive precision. I was in everything I could be in, from Louise Bigelow in Carousel to Viola in Shakespeare’s Twelfth Night. I loved every bit of it, but something was always missing. I wasn’t sure what that was. I spent a summer while in college interning for Jim Carnahan in the casting department of the Roundabout Theatre Company in New York. Broadway! I was working on Broadway! Was this what I wanted to do? Be a casting director? Maybe…but that didn’t feel right either. I worked in each department at the Roundabout that summer, and nothing felt quite like what I was looking for. So it was back to senior year I went. What did I want to do? Act? Dance? Stage manage? Be a company manager? Technical theatre? Set design? Something else entirely? I married right out of college, and ended up moving away from New York with my husband to Tallahassee, Florida. I still had no idea what I wanted to do with my life. We had our first child. I worked as a receptionist at a vet’s office, then stayed home with my daughter. Little by little, I felt the pull of photography and ended up pursuing wedding photography as a part time, then a full time job. I adored it. I shot Florida destination weddings for many years, and was very happy. During this time, I was approached by several seniors at Florida State University and was asked to shoot their headshots. I was only too happy to comply. Headshot allowed me to combine the two things that I loved most : theatre and photorgaphy. Many of those "kids" are grownups now, pursuing their Broadway dreams. Michael Fatica and Justin Bowen were both in She Loves Me with the Roundabout Theatre (see how things come full circle?) Leslie Flesner has been in Follies, Chaplin, Honeymoon in Vegas, Cinderella, and an American in Paris. Natalie Caruncho couldbe seen in On Your Feet. Shayla Benoit performs as well as creating an amazing theatrical company called Shady Theatrics. Hardy Weaver wasin Book of Mormon. And so forth. After moving back to New York in 2008, I started exploring my love of portraiture once again. I am still a New York-based wedding photographer, and weddings make up the bulk of my photography work each year. In late 2015, I became acquainted with several members of the ensemble of Hamilton an American Musical. I photographed Betsy Struxness, then Ariana DeBose. My desire to photography Broadway portraits was beginning to take form, and I was thrilled. Broadway portraits are such a wonderful thing to create. This particular Broadway portrait is of the immaculately beautiful Carleigh Bettiol. I didn’t realize it, but my path had crossed with Carleigh before - we had a mutual friend. I shot the wedding of someone she went to college with, and she had seen the wedding pictures. Hamilton an American Musical was Carleigh’s Broadway debut, but she’s no stranger to the work of Lin-Manuel Miranda, having performed in the touring company of his first show, In the Heights. Let’s be super clear here : it’s not hard to create a portrait of Carleigh Bettiol. She’s beautiful. She’s stop-you-in-your-tracks gorgeous. She’s a phenomenally gorgeous woman. She’s also wicked smart, funny, sweet, and an utter delight to work with. She wanted portraits that encapsulated a sexier side of her personality, and I wanted to bring out the strength and grace in her beauty. I kept the backdrop dark and simple, so that her face and skin would really pop against the black background. I lit her with one Profoto D1 light and an Elinchrom octabox, keeping the lighting as simple as the background. I love how her face is perfectly lit, and the light falls off down her back. This is a strong, graceful portrait of a truly beautiful Broadway performer. If you have the chance to see Carleigh perform, GO. She’s luminous. She’s a force to be reckoned with, and a true delight to watch onstage. I hope to create more Broadway portraits of Carleigh in the future! I know she’ll be gracing Broadway stages for years to come! 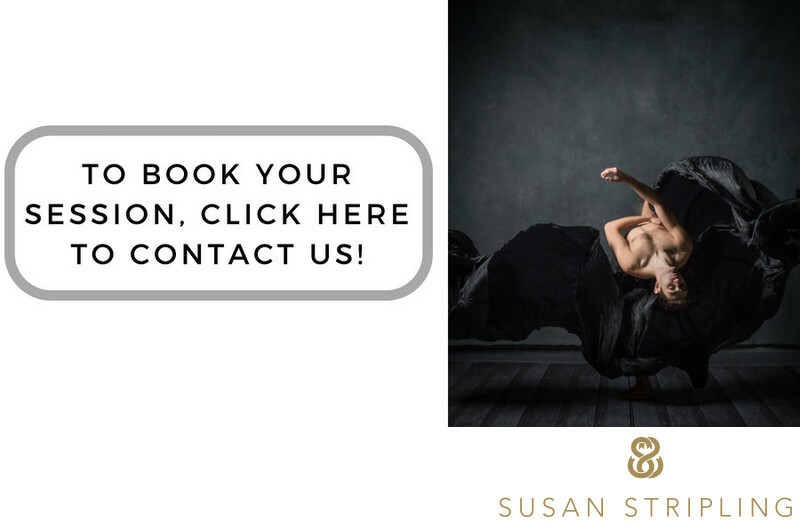 If you'd like to book YOUR session, get in touch! I'd love to work with you! 1/160; f/2.5; ISO 50; 85.0 mm.